Twitter leak aficionado @evleaks has tweeted what appear to be official images of the upcoming Samsung Galaxy Tab S3. The upcoming slate passed TENAA certification last month and should be released soon. 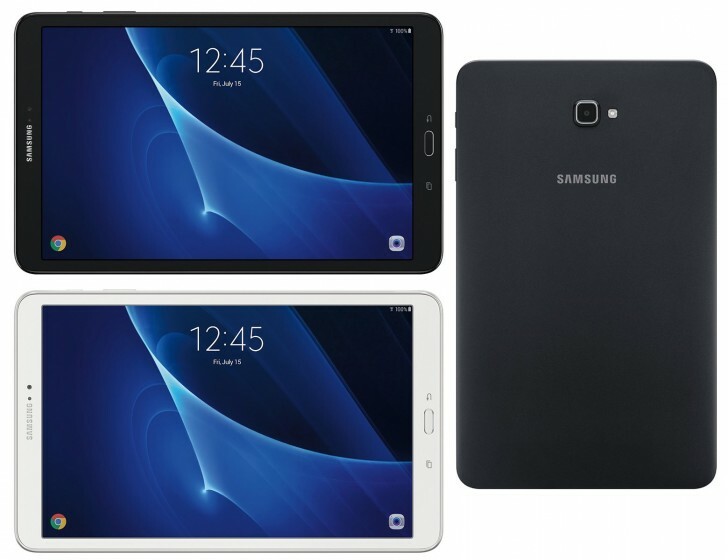 Specifications have also been detailed, as both the 9.7" and 8" variants of the Galaxy Tab S3 leaked in February. The Galaxy Tab S3 will launch with the latest Android 6.0 Marshmallow. It will have 3GB of RAM, 32GB storage, 8MP/1080p main camera and 2MP/1080p selfie. 150Mbps LTE will be an option. The chipset is a Snapdragon 652, which has four Cortex-A72 and four A53 CPU cores. Both the 8" and 9.7" variants share a resolution of 2048 x 1536 pixels. The battery of the 8-incher is 4,000mAh and that of the larger one is unknown at this point. Samsung are amazing at producing phones. Why don't they product an identical spec tablets? For example an identical tablet with identical spec as a Note 7. The only difference is 16:9 would be perfect. This is not the tab s3, this is the tab A 2016! Tab s2 is such a premium when compared to plastic tab s .